Good Earths: Regional and Historical Insights into China’s Environment. 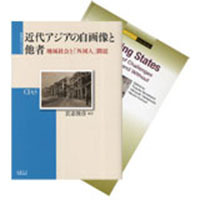 Kyoto University Press. February, 2009. 1. Wil de Jong , Lye Tuck‐Po &Abe Ken-ichi eds. The Social Ecology of Tropical Forests: Migration,Populations and Frontiers.